Sometimes I don’t have a very good imagination. I look at a stamp set & punch like Foxy Friends and all I see are odd shapes with no idea what color to use or how to put them together. Thank goodness for creative people and Pinterest!! A quick search on Pinterest gave me a GAZILLION ideas on how to use those random stamps and punch shapes to create all kinds of fun animals! 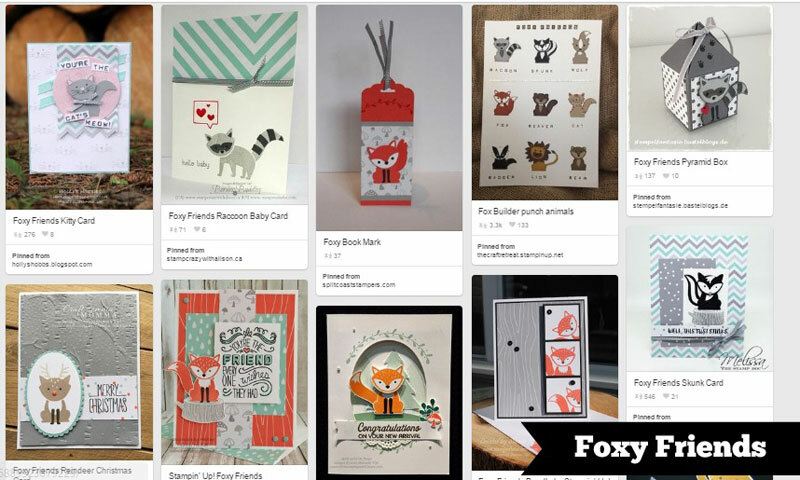 I pinned a few favorites on my new Foxy Friends board. 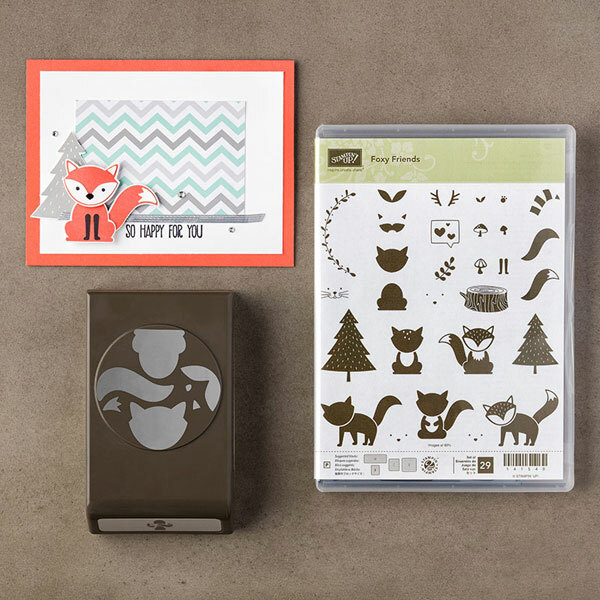 Fox, skunks, reindeer, cats, raccoons, lions… you can create a whole zoo full of animals with this stamp set and punch! Falling in love with this Foxy bunch? Save 10% when you order the Foxy Friends bundle! Includes the Foxy Friends stamp set and coordinating Foxy Builder Punch. Also, don’t forget to check out the trendy A Little Foxy 6×6 Designer Series Paper Stack – I love the colors & patterns! !